Fact Check: Has Global Warming Paused? The consequent warming trend, as measured by NASA, NOAA and Hadley-Met and analysed by Berkeley (see Figure 1), indicates a rise in average land temperature by about +1.5°C over the past 250 years, and about +0.9°C in the past 50 years. 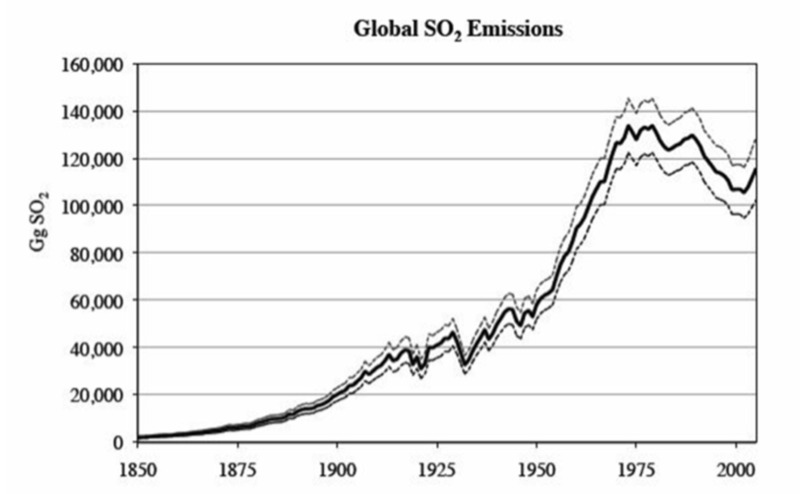 A sharp rise in temperatures from about 1975-1976 was related to both an accelerated rise in CO2 and a decrease in emission of SO2 from coal and oil due to clean air policies (see Figure 2). Cleaner air decreases the reflectiveness of the atmosphere, thus driving further warming. 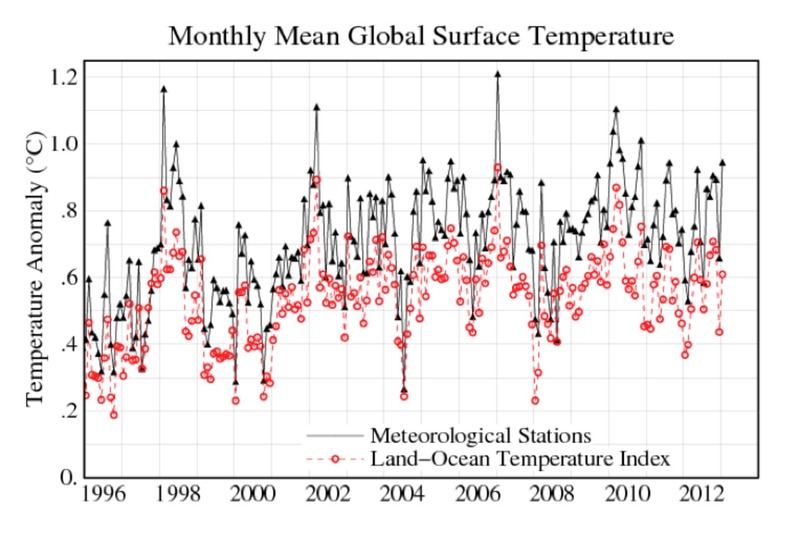 As some 90% of the global heat rise is trapped in the oceans (since 1950, more than 20×1022 joules), the ocean heat level reflects global warming more accurately than land and atmosphere warming. 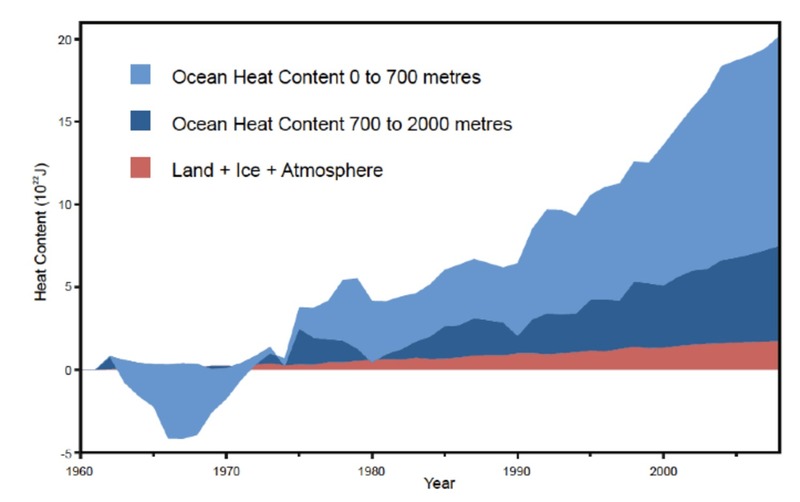 The heat content of the ocean has risen since about 2000 by about 4×1022 joules. The rise in land and atmosphere temperatures since about 1996 reflects a combination of greenhouse radiative forcing from 360 to 395ppm CO2 at rates of up to 2.54ppm/year (unprecedented since 55 million years ago), the ENSO cycle and 11-years sunspot cycle. 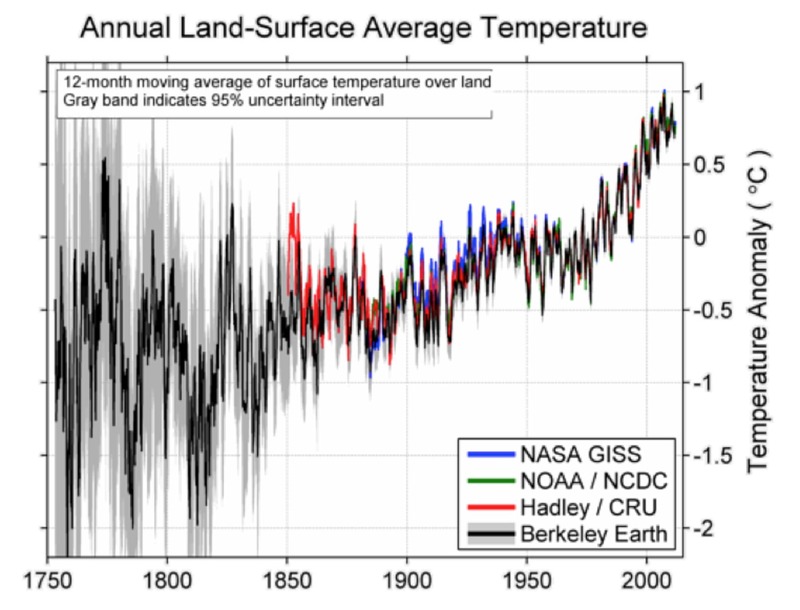 Peak temperatures at around 2006 exceed any measured in the instrumental record.